The BBC has quietly spruced up its HD channel after campaigners complained that the quality of the hi-def feed wasn't sufficient. Although the tweaking happened a few weeks ago, it has only come to light now that improvements have been made, with John Temperley, of the BBC HD Campaign, contacting What Satellite & Digital TV magazine, explaining: "We are pleased to see that after nearly a year of campaigning, BBC HD has taken these measures and, as we expected all along, the results have been a significant improvement in picture quality. "We feel these improvements vindicate our campaign, which will now continue with attempts to move the BBC to a Full HD service with a resolution of 1920x1080. "We look forward to the BBC meeting the requirements of the license for BBC HD by offering a very high quality technical service to viewers, by adhering to, or seeking to exceed, industry standards for picture resolution." The BBC HD campaign went straight to the top to get the quality improvements done, meeting with Danielle Nagler, head of BBC HD, and principal technologist Andy Quested. The campaign has been going on since August 2009, when the BBC introduced new HD picture quality encoders and reduced the bandwidth of BBC HD to a constant 9.7Mbps from 16Mbps. 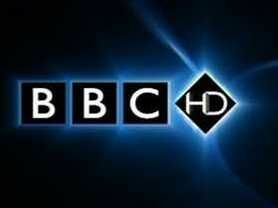 For a full run down of the changes made to the BBC HD's picture quality, he along to the BBC internet blog.